Matt was mentioned in a VatorNews article "Video: Surviving an evolving venture biz at Splash Spring"
Matt was mentioned in a VatorNews article "How is the market affecting investing? Splash VCs weigh in"
Matt was mentioned in a VatorNews article "Fear and loathing in Silicon Valley?" 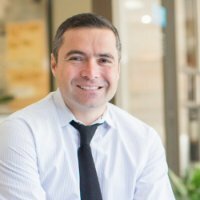 Matt was mentioned in a VatorNews article "Meet Matt Oguz, Founding Partner at Venture/Science"
Matt said "Just joined Vator!"